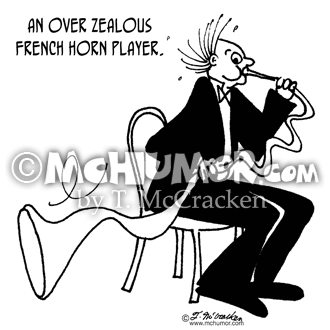 French Horn Cartoon 4226: A musician blows his horn so hard it goes out of shape. 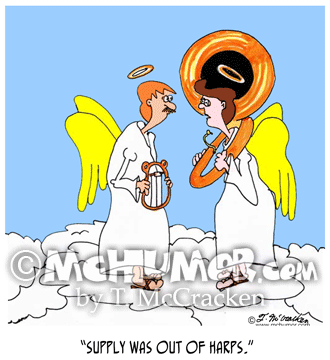 "An over zealous French horn player." 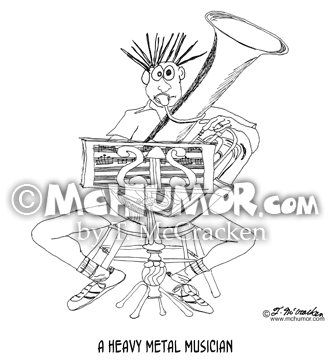 Heavy Metal Cartoon 4609: "A Heavy Metal Musician." A punk plays a tuba. 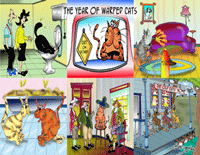 Owl Cartoon 8011V: "A Good, but not a Great Horned Owl." 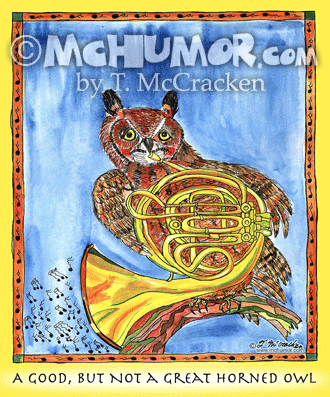 An owl plays a French horn. 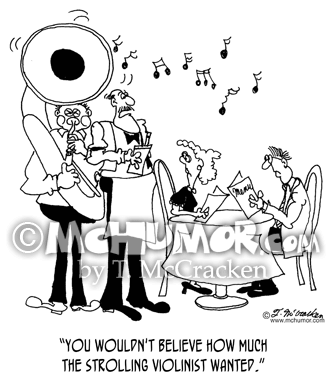 Tuba Cartoon 5758: Of a tuba player in a restaurant a waiter says, "You wouldn't believe how much the strolling violinist wanted." 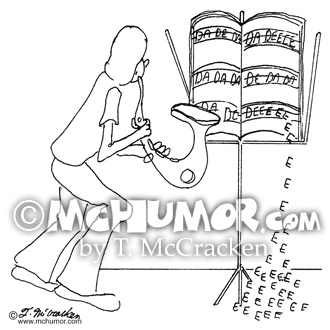 Saxophone Cartoon 0402: A saxophone player reads music that says, "Dade, dade, dade, dade, dade, deeeeeeeeeeeeeeeee" with the eeeeeeees falling off the music stand onto the floor. 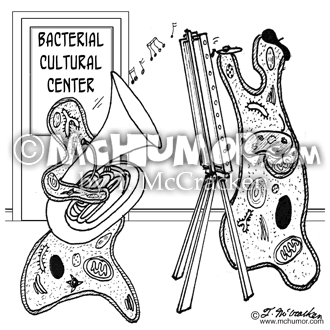 Bacteria Cartoon 2792: "Bacterial Cultural Center." 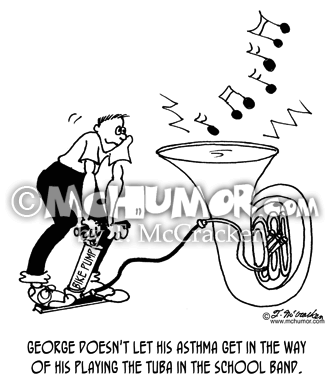 Bacteria play a tuba and paint. 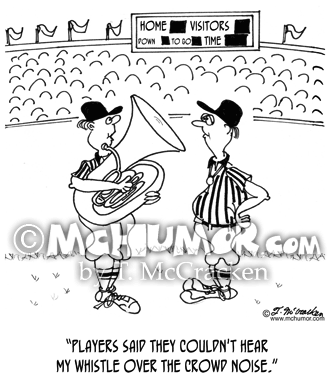 Referee Cartoon 4502: A football referee with a tuba says to another, "Players said they couldn't hear my whistle over the crowd noise." 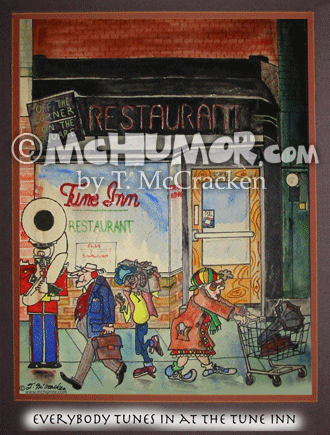 Music Cartoon 8501: “Everybody Tunes in at The Tune Inn.” Outside a diner is a Marine playing a tuba, hip-hop kid carrying a boom box, an executive with headphones and a bag lady pushing a shopping cart with a gramophone in it.